The Pyla-Koutsopetria Archaeological Project (PKAP) is an archaeological survey of the region around the modern village of Pyla, Cyprus. This area is located along the southern coast of Cyprus to the east of the city of Larnaka. We have been working in the area since the summer of 2003. Our research goal is to determine the relationship between this stretch of coastline and other coastal sites on the island, and the Eastern Mediterranean more generally. An important facet of PKAP is our commitment to student research, which we accomplish by involving our undergraduate and graduate students in all aspects of our research program. Our goal in creating this website is to make our data and methods readily available to those who have supported our work as well as for those who might have an interest in our project. In addition to the final season reports, we have also made available copies of some of our most recent public presentations. To help you visualize our site and the work we do each season, we have included pictures and video clips from past seasons, maps showing the site and its artifact distribution patterns, and a listing of PKAP staff and students. 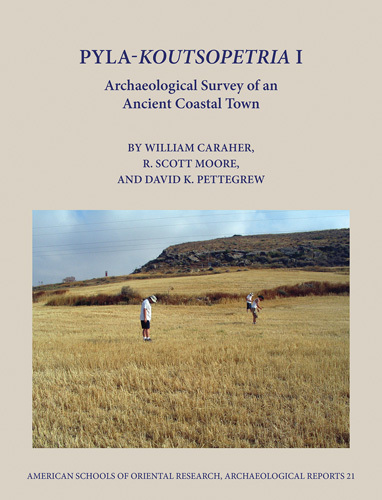 News - The American Schools of Oriental Research published our first monograph on our survey in November 2014 - Pyla-Koutsopetria I: Archaeological Survey of an Ancient Coastal Town. In addition, we also published our data from the survey with Open Context and are in the process of creating a digital version of the monograph that fully integrates our data into our writeup in an interactive manner. We are now working on Pyla-Koutsopetria II, which we hope to have available in lat 2016. 2015 Field Season - PKAP is preparing for our 2015 field season which will begin May 20th.To keep up with our work follow us at PKAP Blogs.